Art lovers, students and Alexandra Schneider’s friends visited her exhibition at the French culture center (Idecaf) Friday. They discussed and enjoyed it very much. The Frenchwoman artist uses natural media like bamboo as well as textiles and foam to express her ideas. The cornerstones of Frenchwoman Alexandra Schneider’s installations are the imagination, ideas of place, movement, and memory. 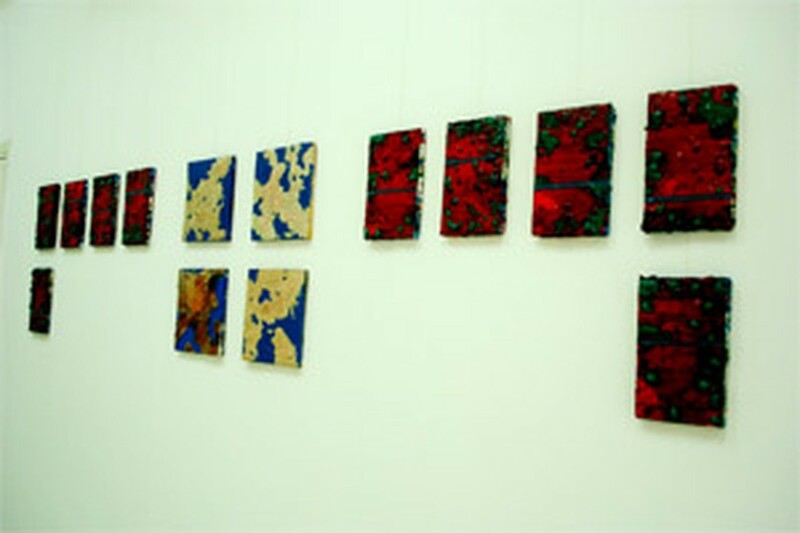 Her most impressive work can be found in the MKGD (Mekong Delta) series of exhibits. The beauty of the delta’s Can Tho and Vinh Long inspired Alexandra to capture it. “When I was a little girl, I read a lot of Marguerite Duras novels, especially “The Lover” (“L’amant” in French). I was filled with interest in the strange country Viet Nam, where the author was born and met her lover”, she said. See her works at Idecaf, 31 Thai Van Lung Street, District 1, Ho Chi Minh City between September 15 and 29. Alexandra Schneider graduated from the Quimper School Of Art. She came to Ho Chi Minh City in 2005 and works as a designer for Natural Choice Ltd.Co specializing in handmade decorative pottery for the home and garden.